The lettering are white. Different colors of oven mitts. This fabric is called “Love” and features a black background with the word “Love” written all over it in white, pink, and red colors. The perfect print for Valentines Day, Sweetest Day, Mothers Day, or as an engagement or shower gift. The oven mitt is lined with a coordinating fabric. I added red cording trim to highlight the print – white or black cording trim is also available. Great gift for that someone special! Many other styles and colors are available. Pattern placement may vary – cording sizes may vary slightly. A hanging loop has been added to each one for your convenience. My pot holders and oven mitts are not to be placed in the microwave. The oven mitts are big enough to fit even the larger hands [approx. 12” (30.5 cm) from top to bottom, 6” (15 cm) opening across the wrist, 7 ½” (19 cm) across at the widest part of the hand]. 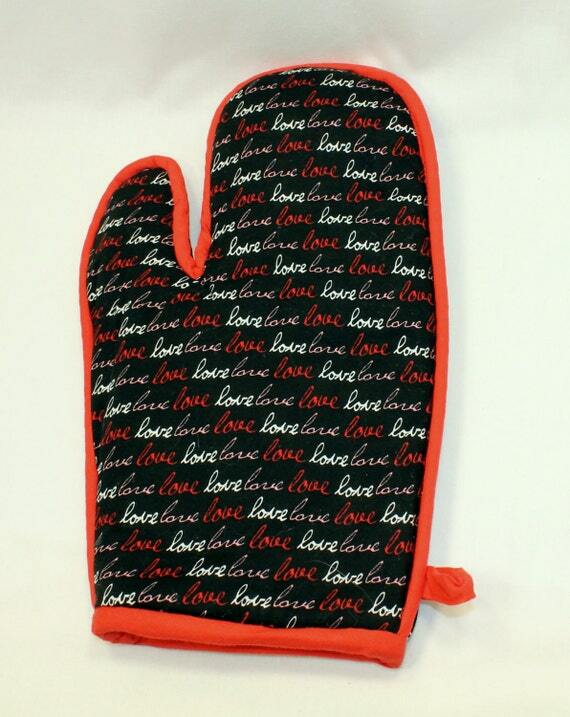 My oven mitts are thicker than most (but still flexible to grasp items) and you don’t have to worry about adequate protection – even at high temperatures. All of us know that LOVE is that special ingredient that makes all the difference with baking and cooking. 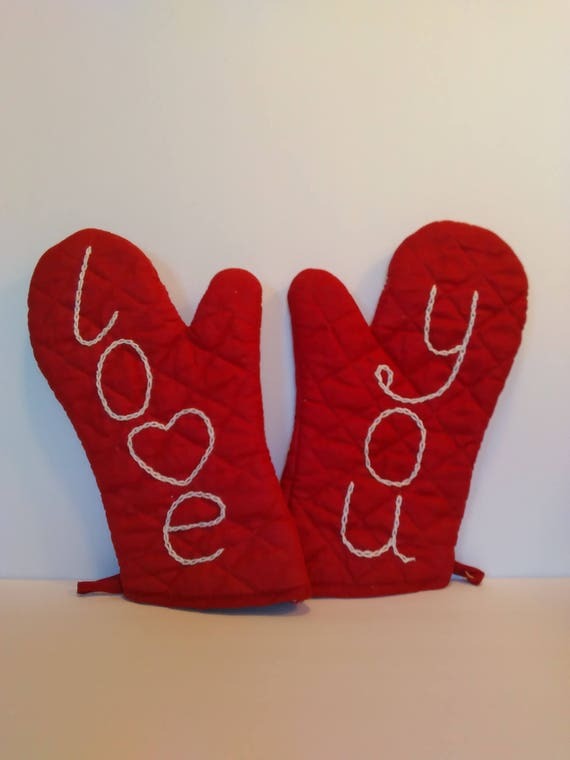 Remind yourself of this with this playful oven mitt! 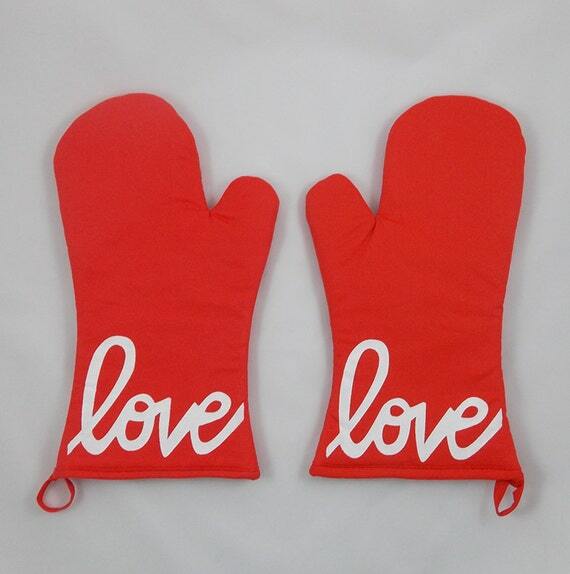 This line of oven mitts is specially manufactured for Graceful Works. The design on the lining on the inside is our copyrighted design.